You preserve the tax deferred status of a CD IRA when you roll it over. 1. Do I Have to Pay Taxes When My IRA CD Matures and I Do Not Renew It? 2. What Does a Matured IRA Mean? A certificate of deposit holding Individual Retirement Account money has a pre-set maturity date that might not coincide with your actual retirement. When your CD matures, you can leave the account as is, move the money, or cash it in. Each of these options presents you with certain advantages and disadvantages as well as potential tax complications. When an IRA CD fully matures, you will have the option to cash in your funds, transfer them to a different account, or simply leave them in the same investment platform. When a bank-issued CD IRA reaches maturity, a grace period begins. This usually lasts between seven and 10 days, and you can gain access to your money or make changes to your account during this time frame. Brokerage CDs are bank or investment firm issued CDs that usually terminate upon maturity. You must hold a brokerage CD IRA within an IRA holding account. When the CD matures, the investment firm deposits the CD proceeds into the IRA holding account. Many bank-issued CD IRAs are automatically renewable which means a new term begins at the end of the grace period. Your interest rate changes to the current default rate when the CD renews. Many banks offer monthly specials on selected CD rates, so you might miss out on the best deals if you just allow your IRA CD to renew. Additionally, IRA CDs are often subject to bank-imposed early withdrawal penalties. If you allow a long-term CD IRA to automatically renew then you may end up paying penalties to access cash before the new term ends. When your CD IRA matures you can instruct your bank to liquidate the account and roll the proceeds into another CD or another type of IRA such as one containing a mutual fund or annuity. Under federal tax rules, you must redeposit the IRA proceeds into another tax deferred retirement account within 60 calendar days of the date of withdrawal. Account custodians typically withhold 10 percent of the account proceeds to cover income taxes, although you can instruct your custodian not to withhold any money if you plan to reinvest the money. If you fail to complete the rollover before the deadline then you must accept the money as taxable income and pay any applicable tax penalties. You can liquidate your CD IRA at maturity, take the money out of the account and report the proceeds as taxable income. 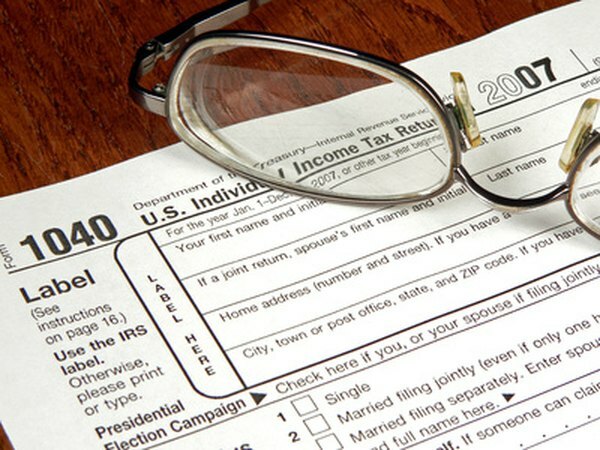 Aside from paying federal and possibly state income tax on both the principal and earnings, you may have to pay a 10 percent tax penalty if you access the money before reaching the age of 59 1/2. The Internal Revenue Service does not impose the penalty in some situations, such as if you become disabled. However, you're still liable for ordinary income tax on any money you withdraw from an IRA. What Happens if IRA Loses All Its Money? Are Beneficiary Designations Part of an IRA CD?